Cotton + poly blend with vegan leather backing. Modern in both style and function, these adjustable, hole-free belts are known as 'ratchet belts' and feature a state of the art design. A SlideBelts brand ratchet belt uses a patented frame-release lever that's easy to use. 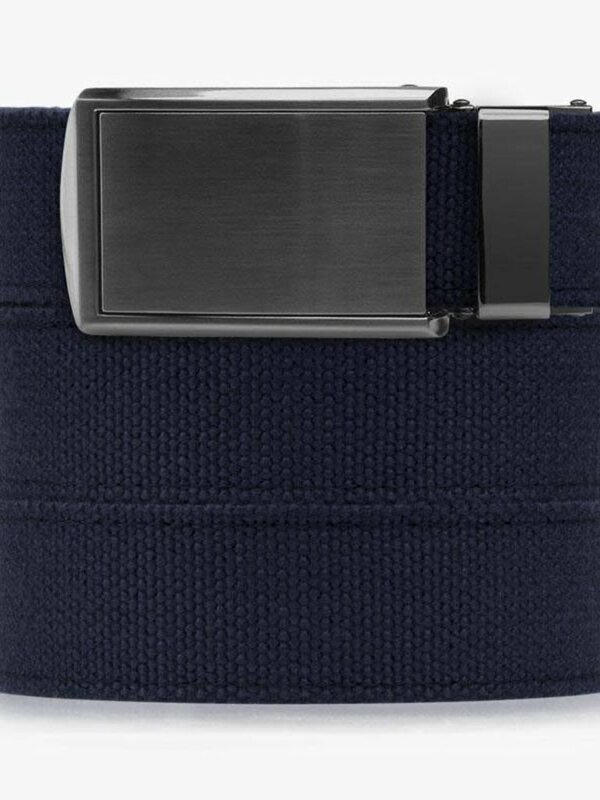 From its closed position, a release mechanism allows the belt strap to come free. 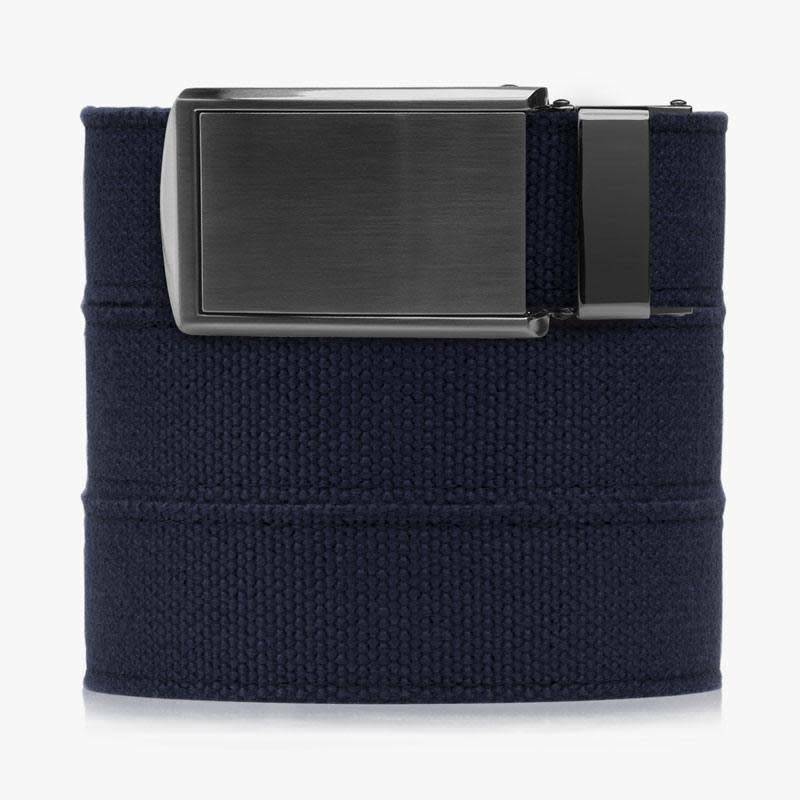 Trim each belt to your own size for custom styling.